This summer my family took our yearly summer visit to Toronto to see family. 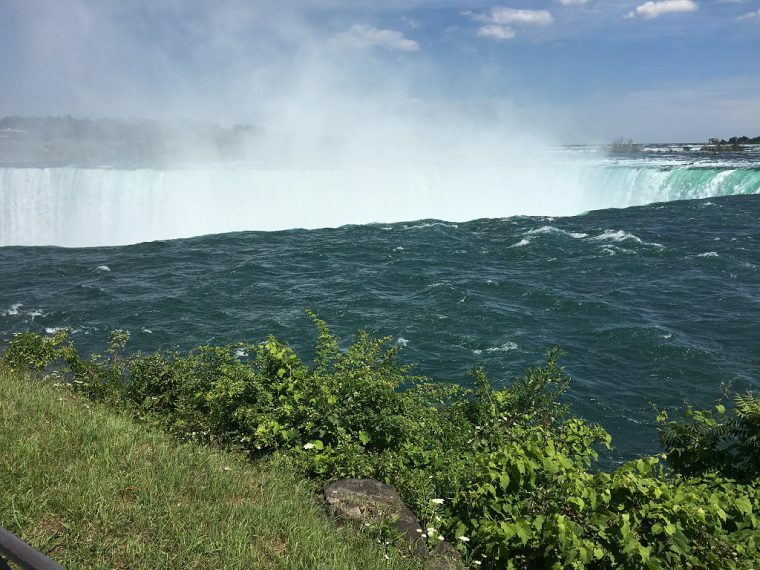 My uncle and aunt decided that due to the fact that my brother and I had never been, they would take us to see Niagara Falls. It was the perfect type of day, not too stuffy but nice and sunny. The parking lot was rather full, and expensive, but on a sunny day and at such a touristy place it’s understandable. Once on the boardwalk walking closer and closer to The Falls you could start to feel the mist emitting from the falls. The rapids racing towards the fall were incredible to watch. The center of the boardwalk where you can see the falls head-on, was crowded but people drift so frequently it’s not difficult at all to get to the edge to peer over into the watery abyss. The Falls themselves are incredible. I could have stared at the moving water for hours. After observing The Falls from the boardwalk we went into to gift shop building to look, and also to get tickets for “behind the falls”, a special elevator trip that takes you closer and behind Niagara Falls. Once we’d gotten the tickets for the tour, it was time to stand in a line. Forever. The line to the elevators (there are two of them) goes a floor beneath the main floor, past people who take a photo of you that you may purchase later, through one half of a room, past a lady who gives you a plastic rain poncho, through the other half of the room and up a few stairs. It is only then you get into the elevator and go down to the falls. Was it worth the wait though? Definitely. The view of The Falls from close up was incredible. Although, there was definitely a reason they gave out rain ponchos. It was truly incredible, there was a rainbow and everything. The other thing you could do was go through a tunnel behind The Falls. It sounded as if thunder was pounding right above my head. There are two viewpoints from the tunnel. Both have a gate stopping you from going too far, with an opening to watch the rushing water at the end. After seeing all the water, getting back to the elevator and going back up is a fairly speedy process with a fast moving line. 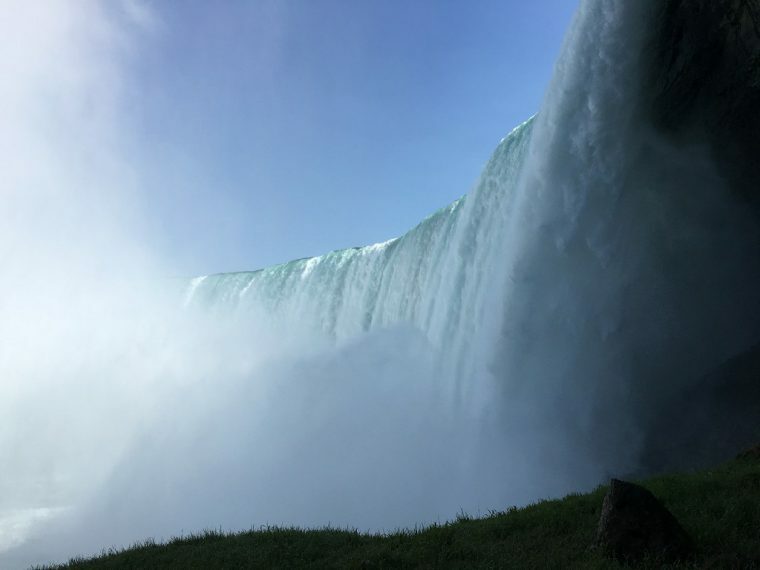 All in all my trip to Niagara Falls was incredibly enjoyable and I would definitely revisit The Falls if another chance came up.